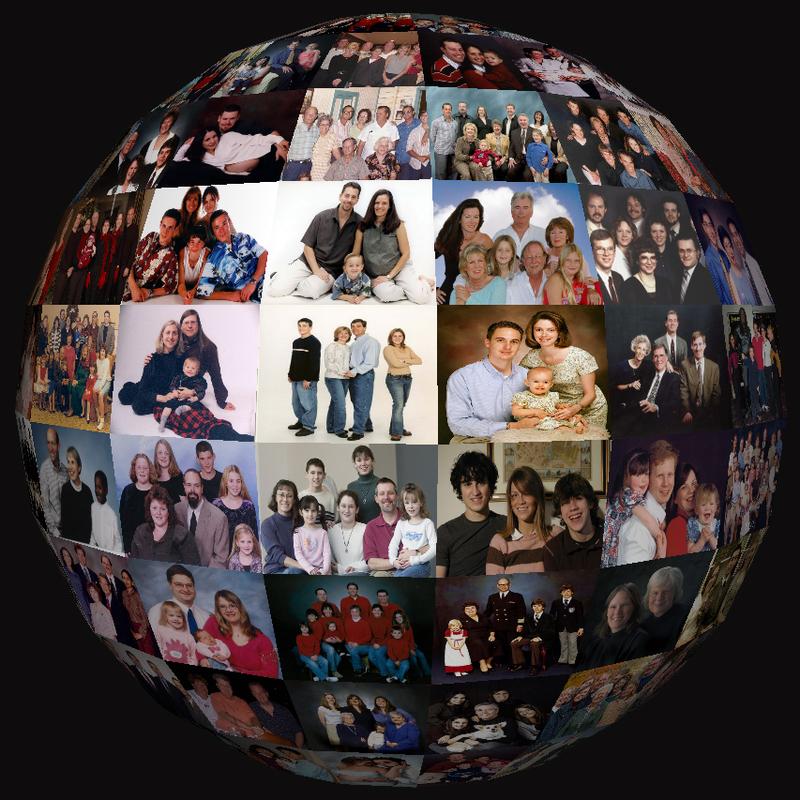 A collection of anonymous family portrait photographs curated via google searches, and affixed to the 'visible side' of a 3-D sphere in Maya. This piece grew out of my previous Photo Noise project. It was made and shown in Denver Colorado in 2005 for the 'Imaginary Friends' group show at Double Daughters, curated by Katie Taft. I took the digital 3-D model and made an 8.5" x 11" inkjet printout, set it in a black 3-ring binder, and hung it on the wall.